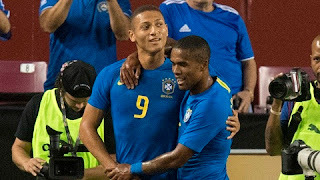 ernational who play for English premier league heavyweight Chelsea could be a perfect replacement for Real Madrid legend Cristiano Ronaldo who leave Real Madrid for Italian powerhouse juventus this summer . Ronaldo is the one of the best player in Real Madrid history guiding them to 4 UEFA champions league , a La Liga title and four club world cup glory during his time in Spain, he made 450 appearance scoring 438 goals , he also guide Portugal to UEFA European championship in 2017. Ronaldo wil be very hard to be replaced considering his contribution to Real Madrid success in the past 9 years scoring over 35 goals each season . Eden Hazard join Chelsea from French league outfit Lille in 2012 , he make 209 appearance for chelsea scoring 69 goals . 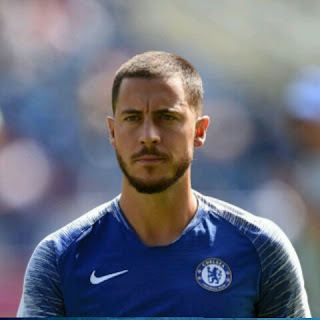 The 2015 PFA player of the year is known for his dribling , creativity and ball retention skills , Hazard's pace coupled with his finishing and inability to to be dispossessed easily make him a perfect replacement for Cristiano Ronaldo. Hazard help Belgium to their best ever finish in Russia 2018 world cup winning man of the match in 5 occasions as he went on to win the FIFA Adidas silver ball. Remain to be seen if Chelsea will agree to let him go because they will be unable to find his replacement with English transfer window already closed, that means Real Madrid will wait till January transfer window before they can make an approach.